Ballet originated in the early 1600’s. For the first 75 years or so, it was Men Only. Women weren’t allowed. If a role called for a female, it was danced by a man. From Russia to the Ukraine to London, Sergei Polunin has partnered some of the most celebrated ballerinas. Natalia Osipova, Svetlana Zakharova, and Tamara Rojo to name just a few. While all the world might wish to dance with him, these women are a few of the lucky ones who do. Although… can a ballerina be considered lucky if the onlookers can’t take their eyes off of HIM?? It’s as if the ballerinas are dancing back up! Audiences, for a change, have their eyes glued to Sergei while a ballerina flitters about him, reduced to a mere distraction. Sergei Polunin is the man who makes ballerinas disappear. Disclaimer: This little excursion into ballet history is not meant to cast dispersions on any of the talented and hardworking women ballet dancers in the world today. The idea is to point out, with a little tongue-in-cheek, just how remarkable Sergei Polunin is. The featured videos in this entry are photo montages of Sergei Polunin partnering several different ballerinas in some of ballet’s most passionate pas de deux. Presented with him are some of his “fortunate” ballerinas. The first of the two videos below was deemed “so hot” that the YouTube bots banned it. The ruling was overturned once human eyes addressed the issue and agreed that the performers did, in fact have on tights, and were not naked. Spartacus, a ballet in three acts by Armenian composer Aram Khachaturian, is known for its lively rhythms and strong energy. It was premiered by the Kirov Ballet in Leningrad (now St. Petersburg) in 1956, and its revised form was debuted in 1968 by the Bolshoi Ballet in Moscow. In the video below, Sergei Polunin is featured as Spartacus. We also see him as Crassus, the anti-hero, whom he often portrays equally as well. The role of Spartacus in the ballet of the same name, is extremely demanding. It requires a very strong and capable ballet dancer. He must have a wide dramatic range, exceptional ballon (leaping ability) and be a top-tier athlete. It can be difficult for a dancer to do justice to the role. Sergei Polunin excels at it. Sergei becomes Spartacus. His physical attributes and talents, along with his ability to completely immerse himself emotionally in a role, make him a stellar choice. The story of Khachaturian’s ballet (with libretto by Yuri Grigorovich) was derived from a book by Raffaello Giovagnolli that details events from an historical Roman slave revolt. Its leader, Spartacus, was a Thracian warrior who had been captured in battle. The rebellion’s high point was its seizure of Mount Vesuvius as a stronghold. After two years of fighting, the rebellion was finally put down by Marcus Licinius Crassus, and the warrior Spartacus fell in battle. The military machine of imperial Rome, led by Crassus, wages a cruel campaign of conquest, destroying everything in its path. Among the chained prisoners, who are doomed to captivity, are man and wife, Spartacus and Phrygia. Spartacus is in despair. Born a free man, he is now a prisoner in chains. Dealers separate the men and women prisoners for sale to rich Romans. Spartacus is parted from Phrygia. Mimes & courtesans entertain the guests, making fun of Phrygia, Crassus’s new conquest. Aegina, a favorite concubine of Crassus, draws Crassus into a frenzied, bacchanalian dance. Dizzy with wine & passion, Crassus demands a spectacle. Two gladiators are to fight to the end in helmets with closed visors (without seeing each other). The victor’s helmet is removed. It is Spartacus. Against his will, Spartacus has been forced to fatally defeat a fellow armsman. His despair develops into anger & protest. He will no longer tolerate captivity. He vows to win back his freedom. Spartacus incites the gladiators to revolt. They swear an oath of loyalty to him and they break out of the barracks to freedom. Having broken out of their captivity and finding themselves on Appian Way, surrounded by shepherds, Spartacus’s followers call the latter to join the uprising. They proclaim Spartacus as their leader. The thought of Phrygia’s fate as Casuss’s conquest gives Spartacus no peace. He is haunted by memories of his wife whom he thinks of day & night. He is elated and filled with faith that the uprising will be successful. Spartacus’s men have taken Crassus prisoner and want to dispose of him. Spartacus is not bent on revenge and suggests that they should engage in single-handed combat. Crassus accepts the challenge and suffers defeat when Spartacus knocks the sword out of his hand. Crassus makes ready demonstratively to meet his end, but Spartacus, with a gesture of contempt, lets him go. That all shall know of Crassus’s dishonor is punishment enough. The jubilant insurgents praise the victory of Spartacus. Crassus is tormented by his disgrace. Fanning his hurt pride, Aegina calls on him to take his revenge. The only way forward, she chides, is to defeat the insurgents. Crassus summons his legions. Aegina sees him off to battle. Spartacus is Aegina’s enemy too. The defeat of Crassus will be her downfall. Aegina devises a plan. She will sew dissension in Spartacus’s encampment. Spartacus & Phrygia are happy to be together. Then suddenly, his military commanders bring the news that Crassus is on the move with a large army. Spartacus decides to give battle. Overcome by cowardice, some of his warriors (who were simple shepherds a short time ago) desert their leader. Aegina infiltrates the ranks of the defectors. Together with her fellow courtesans she seduces the men with wine and dance. As a result, the men throw all caution to the winds and she convinces them to return to Spartacus’ camp. Having successfully sprung her trap, Aegina hands them all over to Crassus. Crassus is consumed by the wish for revenge. Spartacus shall pay for the humiliation that he, Crassus, was forced to undergo. Surrounded by the Roman legions, Spartacus’s devoted friends perish in unequal combat. Spartacus fights on fearlessly right up to the bitter end but, closing in on the wounded hero, the Roman soldiers crucify him on their spears. Phrygia retrieves Spartacus’s body. She mourns her beloved. She is inconsolable. Raising her arms, Phrygia appeals to the heavens that the memory of Spartacus live forever. Delicate Dominance… Sergei’s hands, strong as steel yet tenderly graceful. Able to propel a ballerina skyward, yet his port de bras is soft beyond compare. Such stunning “carriage of the arms” he looks more like a Da Vinci sculpture than flesh and blood. Yet, he is able to move one to tears with a gesture so exquisitely human, it can break your heart. Music: “Nothing” by Kai Engel with permission via the Free Music Archive under an Attribution License. Sergei Polunin is a Ukrainian ballet dancer. Famous for his “once every hundred years” talent, he has incredulous elevation and impeccable technique. From an early age, he displayed glorious dramatic range. Home videos of him as a tiny boy improvising to Pavarotti are very foretelling. At age 20, he became the Royal Ballet’s youngest ever principal dancer. Ballet gained an unprecedented new awareness when he danced in Hozier’s viral video ”Take Me To Church.” People who never would have never paid any attention to ballet began to watch the tattooed phenom. He is generally attributed with bringing ballet to the modern common man. Classical, yet cutting edge, Sergei starred in Diesel’s “Make Love Not Walls” campaign and has put his mark on many other promotions. Sergei is a much sought after model and actor. Fashion designers love his breathtaking physique and brooding good looks. He has garnered only positive reviews for his acting. His appearances include Kenneth Branagh’s adaptation of the Orient Express, the biographical documentary Dancer, The White Crow, and Red Sparrow. If you enjoyed this, please consider visiting my fan site at http://sergeipoluningracefulbeast.com or my blog at https://pamboehmesimon.com for additional videos and more. Sergei surprises guests? Stuns would be more like it… Unbeknownst to the host of bigwigs, celebrities, and other guests at a Milan’s 2016 Fashion Week show, Sergei Polunin / Сергей Полунин was about to bring down the house. Beauty, power, angst… it was glorious. Sergei Polunin was the dancer who starred in Hozier’s viral video, “Take Me To Church” but his fame is far greater than just that. One day, he will be legendary. Sergei Polunin is a Ukrainian ballet dancer. Famous for his “once every hundred years” talent, he has incredulous elevation and impeccable technique. From an early age, he displayed glorious dramatic range. Home videos of him as a tiny boy improvising to Pavarotti are very foretelling. At age 20, he became the Royal Ballet’s youngest ever principal dancer. Ballet gained an unprecedented new awareness when he danced in Hozier’s viral video ”Take Me To Church.” People who never would have never paid any attention to ballet began to watch the tattooed phenom. He is generally attributed with bringing ballet to the modern common man. He has garnered only positive reviews for his acting. His appearances include Kenneth Branagh’s adaptation of the Orient Express, the biographical documentary Dancer, The White Crow, and Red Sparrow. Huge ballet jumps is right. This is a video featuring Sergei Polunin in “Le Corsaire” and showcasing his incredible elevation and incredulous ballet leaps. His “signature” leap, the 540 Rivoltade is nothing short of spectacular. Watch “Huge Ballet Jumps! here. This video originally posted in November 2017 and currently has almost 490,000 views. It has been archived here in an effort to preserve and keep available treasured footage of this future dance legend. Sergei Polunin is a Ukrainian ballet dancer. Famous for his “once every hundred years” talent, he has incredulous elevation and impeccable technique. From an early age, he displayed glorious dramatic range. Home videos of him as a tiny boy improvising to Pavarotti are very foretelling. At age 19, he became the Royal Ballet’s youngest ever principal dancer. If you fall I will catch you… a beautiful sentiment, a beautiful promise. What more can two people do for each other than to simply be there. This video was created in January 2018 by Pam Boehme Simon. In my ongoing effort to catalog and preserve all things “Sergei” it is being archived here for all to enjoy. “If You Fall, I Will Catch You” starring Sergei Polunin and ballerina Natalia Osipova… ballet superstars, and at one time, real life companions. Please bookmark my fan site at http://sergeipoluningracefulbeast.com or visit my blog at https://pamboehmesimon.com for additional videos and much more. Sergei Polunin is a Ukrainian ballet dancer. Famous for his “once every hundred years” talent, he has incredulous elevation and impeccable technique. Classical, yet cutting edge, Sergei starred in Diesel’s “Make Love Not Walls” campaign and has put his mark on many other promotions. Sergei is a much sought after model and actor. Fashion designers love his breathtaking physique and brooding good looks. He has garnered only positive reviews for his acting. His appearances include Kenneth Branagh’s adaptation of the Orient Express, the biographical documentary Dancer, The White Crow, and Red Sparrow. If you enjoyed this, please consider subscribing to my Youtube channel: https://www.youtube.com/c/PamBoehmeSimon and “like” my playlist “Sergei Polunin, Graceful Beast” as well. Sergei Polunin is a Ukrainian ballet dancer and a former principal dancer with the British Royal Ballet, before suddenly resigning in 2012, after only two years in the position. 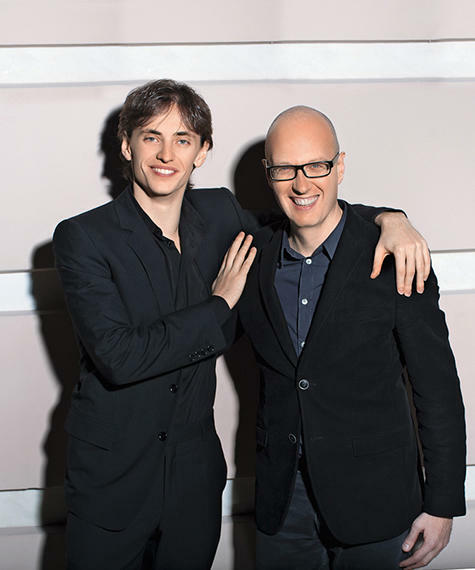 Polunin has a reputation for wild behavior, earning the nickname the “Bad Boy of Ballet.” He has recently gained more popularity following his performance in a music video choreographed to Hozier‘s hit single “Take Me To Church.” The music video was part of a larger Steven Cantor documentary on Polunin, Dancer, which premiered in 2016. Polunin was born Sergei Vladimirovich Polunin on November 20, 1989 (Sergei Polunin age: 27) in Kherson, Ukrainian SSR, to Galina Polunina and Vladimir Polunin. From the age of four, the future dancer excelled in gymnastics classes. At age eight, his studies shifted towards dance, and he spent four years at the Kiev State Choreographic Institute. Polunina, in an interview with the New Yorker, suggests that pushing her son towards dance was his best shot for a better life. “In my life, the choices were between salted cabbage and marinated cabbage,” she said. “I wanted him to have more of a choice than that.” The extent to which she wanted her son to succeed was so extreme that she moved with Polunin to Kiev, causing the family to split up in order to make ends meet. Polunin’s father sought work in Portugal, while his grandmother became a maid in Greece, all to support his growing career. In 2013, Polunin was accepted to the White Lodge, the Royal Ballet’s junior school in London, at the age of thirteen. At first devastated that they would not be able to afford the tuition, Polunin still attended largely in part from a grant given by the Rudolf Nureyev Foundation. Unfortunately, this meant that Polunina had to stay in the Ukraine, leaving behind her teenage son. 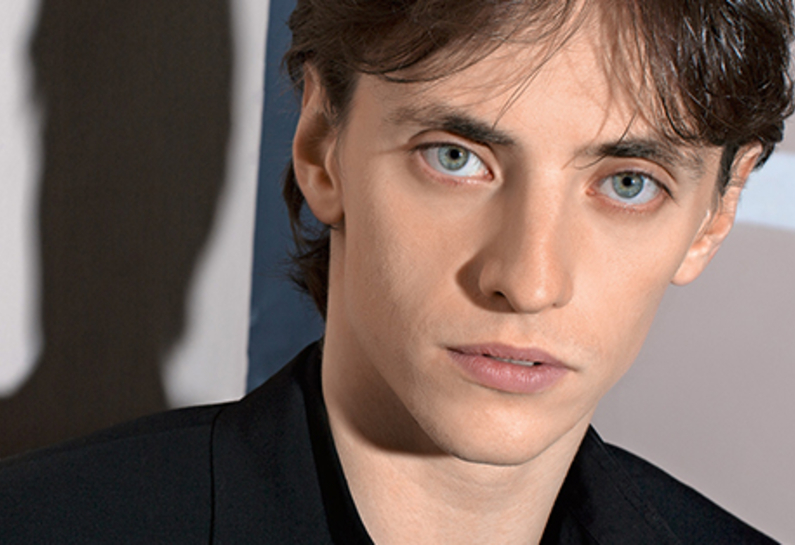 Faced with his family’s sacrifices and the mounting pressure to succeed, Polunin became a star pupil. “In school, I knew I could not fight, could not mess up, because I would be thrown out,” he told Uinterview. “And then when I was twenty-one, I wanted to do all the things I missed out on.” He did enjoy the freedom of the two thousand acres of parkland surrounding the school, saying he felt like he, “Was in Harry Potter.” Polunin’s success was such that his teachers advanced him a full two school years ahead. Once in the senior school, Polunin’s discipline began to dissolve. While still excelling in his studies, the rising start experimented with drugs. By 2009, he was the first soloist at the Royal Ballet; by 2010, he came principal dancer, the youngest ever in the company’s history. He also earned his title of “Bad Boy” at this time, using cocaine to heighten his adrenaline rush and tweeting about late night parties and tattoos. In an interview with Uinterview, Polunin talked about his experience of getting a tattoo, which was strictly forbidden by the Royal Ballet. “Oh you think I’m bad, I’m going to prove [to] you I’m the baddest [sic],” he recalled. “I always drew on myself, always knew I was going to have a tattoo, and tattoos represented freedom to me.” He was forced to cover his new tattoos with makeup. On January 24, 2012, after growing dissatisfaction with his career, Polunin stepped down from the principal position, telling BBC that he felt, “the artist in me was dying.” Looking back on the dancer’s decision, documentarian Steven Cantor offered his thoughts to the New York Times about Polunin’s motivations. “It became clear that he was dancing as hard as he could to get his family back together. Then his parents got divorced, and I think he felt, what am I dancing for? He just lost his will and went off the rails.” Polunin only recently allowed his mother to see his performances in person; he originally forbade her to do so. As a result of his bad reputation, Polunin had difficulty finding work with other companies. However, in the summer of 2012, he was invited to Russia by famous dancer Igor Zelensky, under whom he would train and become the principal dancer for The Stanislavsky Music Theatre and Novosibirsk State Academic Opera and Ballet Theatre. On Zelensky, Polunin has referred to him as a surrogate father. “Nobody would listen to me, there wasn’t any real conversation going on,” Polunin told Uinterview. “And that’s when Igor appeared.” Polunin reveres Zelensky so much that he has gone as far as to tattoo the name of the artistic director on his shoulder. His time with Zelensky was not without controversy, however. In April 2013, after preparing for the principal dance role in director Peter Schaufuss’s Midnight Express, Polunin, along with Zelensky, quit days before opening night. Despite his superior also leaving the troubled production, many considered Polunin to be “depressed” again. Tana suggested he work with American photographer and dance documentarian, David LaChapelle. Polunin ultimately decided to use the collaboration as his farewell performance to the dance world. LaChapelle suggested the then-relatively-unknown song “Take Me To Church,” by Hozier. Polunin would then fly down to shoot the music video in the empty chapel-like filmmaker’s studio in Hawaii. A longtime friend and fellow dancer, Jade Hale-Christofi, choreographed the piece. The music video would later become the centerpiece of large documentary work, Dancer, started in 2014 when Tana approached filmmaker Stephen Cantor. Dancer premiered in the Fall of 2016. Following the worldwide success of Polunin’s Take Me To Church video, he has since decided to return to dancing. He continues to dance with Stanislavsky company and the Novosibirsk Ballet. Polunin has been dating ballerina Natalia Osipova, who is a principal dancer at the Royal Ballet, since mid-2015. The pair has performed together in Russell Maliphant‘s Silent Echo, as part of a program of contemporary works. He has received numerous accolades for his performances, including the Prix de Lausanne and Youth America Grand Prix in 2006. He was named Young British Dancer of the Year in 2007. In 2014 he was shortlisted as the best male dancer at the National Dance Awards in the U.K. This article was published by Uinterview on December 19, 2016. Visit our website at https://uinterview.com for more celebrity news. After years of editing pixels, cutting music, creating videos, Pam Boehme Simon gets to see him in real life. Pam finally sees Sergei dance! I hesitate to start writing anything at all, as no mere words will do justice. First, the trip there. Sacramento, California is in no way shape or form close to where I live. I live two hours east of Houston in a tiny town called Orange. We are the last town in Texas on Interstate 10 before you cross the border into Louisiana. In a straight line, it’s 1684 miles or 2709 kilometers from Orange to Sacramento. My trip there involved about 2 hours drive time, 3 airports, 4 hours layover time, and 10 hours flight time. However, totally worth it. I’d do it again in a heartbeat. I arrived at the Crest Theater in downtown Sacramento a little more than an hour early. The theater is like out of a dream! Fantastical, whimsical, amazing! From the tiny little ticket booth out front to the “blue sky” ceiling in the main space… oh my. I could not imagine a more perfect venue for what was to come. Built in 1948 by Fox West Coast Theatres, it opened July 7, 1949. Mostly still original, the highly stylized, art deco theater is host to concerts, Red Carpet movie premieres, comedy shows, private events and more. At some point in time, the Crest was bought by Mel Brooks and Anne Bancroft. In 1996 they sold it to Gloria León who still owns it today. It was designated “Historic” in 2010. So, the show starts. Estas Tonne, was incredible. I admit never hearing of him before ever, but his music and talent were astounding. We were told we would be going on a “journey” and we certainly were. The music was mesmerizing. I couldn’t help but close my eyes and watch the pictures conjured up in the darkness behind my eyelids. THANK GOODNESS for Kathleen, who turned back and whispered me back to awareness just as Sergei was stepping onto the stage! He stepped lightly and silently onto the stage, coming up from steps on stage right. Tonne’s music was quiet and gentle, and Sergei moved accordingly. He was beautiful. Like a being somewhere above “human” in the movement hierarchy… he was delicate and precise, yet, with less effort than a sigh, he would suddenly achieve light speed and launch himself into the stratosphere like we know only he can. Then, he would touch back down to earth as softly as the sun puddles on the floor. I actually only heard him make an audible noise landing from a jump once. It was during a silent moment of the guitar music, and the “thump, thump” of Sergei’s feet were in perfect time with the music. Tonne’s fingers stilled on the strings briefly, and Sergei’s feet finished the measure perfectly. “Thump, thump.” To control a landing so musically… wow. Sergei appeared three times. The first two, clad all in black, and the third time, he changed into a simple white tee shirt. I could see a story in my mind. He took us from tentative searching and careful exploring, wondering and wandering, to finally confident contentment, powerful joy, and brilliant happiness. When he moved, there was nothing else in the room. Just Sergei. Even Tonne watched Sergei as he danced about him on the stage. Then, there was the energy. Sergei had set the room on fire. Not a harsh, red, destructive fire… but a dazzling, white, cleansing fire. One that burned without burning. THIS is how he inspires! He puts forth an energy that shoots like a laser beam into your mind, heart, and soul. Inspiration. Like a blinding white light that hits you so hard you feel the percussion of it. Stunning, yet painless. Primal, yet it propels you to a more complex plane of consciousness. It makes you WANT TO. Video: Sergei’s first of three times onstage (check back, I will add the others).